Wilko Johnson, former guitarist for the 1970s group, Dr. Feelgood, and one of the stars of Game of Thrones, has recently been diagnosed with terminal pancreatic cancer. The 65-year-old rocker has decided not to treat it. 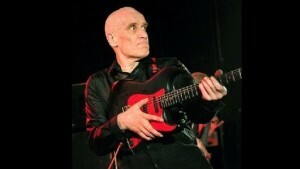 “I am very sad to announce that Wilko has recently been diagnosed with terminal cancer of the pancreas. He has chosen not to receive any chemotherapy,” said his manager. Instead, he expects to enjoy a few more months of relative health, to finish a new CD, make a quick tour of France, and some farewell gigs in the UK. “He is currently in good spirits, is not yet suffering any physical effects and can expect to enjoy at least another few months of reasonable health and activity,” his manager’s statement said. Johnson’s choppy guitar style influence British punk rock. Lately he formed his own group, The Wilko Johnson Band. He has also played Ilyn Payne, a mute executioner in the HBO fantasy series Game of Thrones.